The Netherland’s Queen Máxima visited Google’s Digital Workshop in the Enschede region of the country today to mark the first anniversary of the programme to increase the digital skills of Dutch entrepreneurs. We introduced the Digital Workshop a year ago in the Netherlands in collaboration with the microfinanciers at Qredits and several municipalities around the country. After a kick-off in Eindhoven in November 2016 and successful iterations in Nijmegen, Groningen, Hilversum, Rotterdam, The Hague and Maastricht, today entrepreneurs in Enschede brushed up their knowledge. Since the start of the programme in the Netherlands, 29,183 Dutch professionals and entrepreneurs have participated. 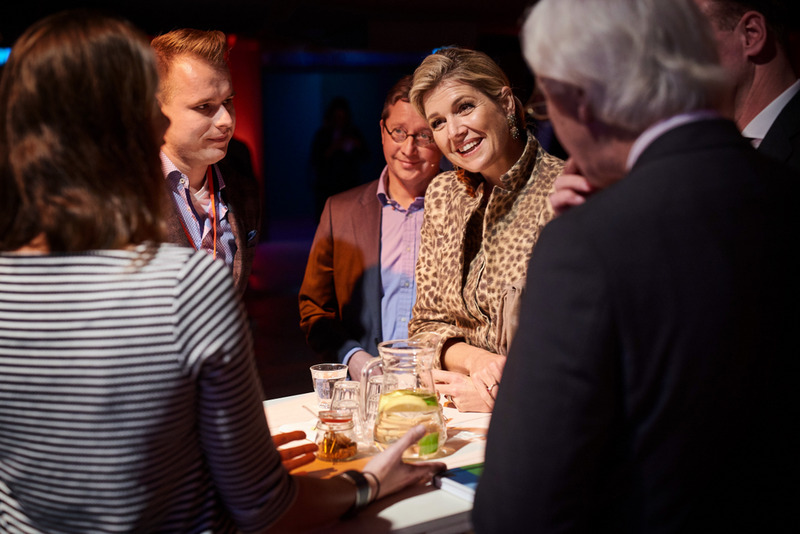 Queen Máxima visited the Digital Workplace in her capacity as a member of the Nederlands Comité voor Ondernemerschap en Financiering (the Netherlands Committee for Entrepreneurship and Funding). Among other things she attended a workshop for entrepreneurs on increasing brand familiarity, and talked to entrepreneurs about the opportunities of doing business online and funding growth. The internet offers significant opportunities for Dutch companies, and via the Digital Workshop, a part of Google’s Growth Engine program across Europe, we want to give entrepreneurs a helping hand with it. We believe in the power of entrepreneurs and the important role they play in the growth of the Dutch economy. Today it’s possible for every entrepreneur to do business worldwide using the internet. Even the smallest entrepreneurs have the ability to find their clients on the other side of the country, or even become a multinational. Although the Digital Workshop began in the Netherlands with gatherings throughout the country, the programme has now been expanded to online training courses and a Digital Workshop for students. With today’s event, Google is closing in on our target to train 30.000 Dutch entrepreneurs in digital skills--and we’ve one more city to go before the end of the year! Research has shown that just 20 weeks after completing the program, 79% of the participants has taken one or more actions. They have improved the content of their website, used web analytics,optimized their website for mobile and improved their social media presence. Off all respondents, 63% has spent more time and 22% more budget on learning about the internet and online applications. The Netherland’s Digital Workshop is one of many we have around Europe, where we’ve pledged to train 2 million Europeans in digital skills by 2017. We’ve seen for ourselves how improving digital expertise can give people new opportunities to grow and develop, and how businesses can flourish with the skills learned at our Digital Workshops. See here for stories of Dutch success online… we’re encouraged by their progress and looking forward to more!